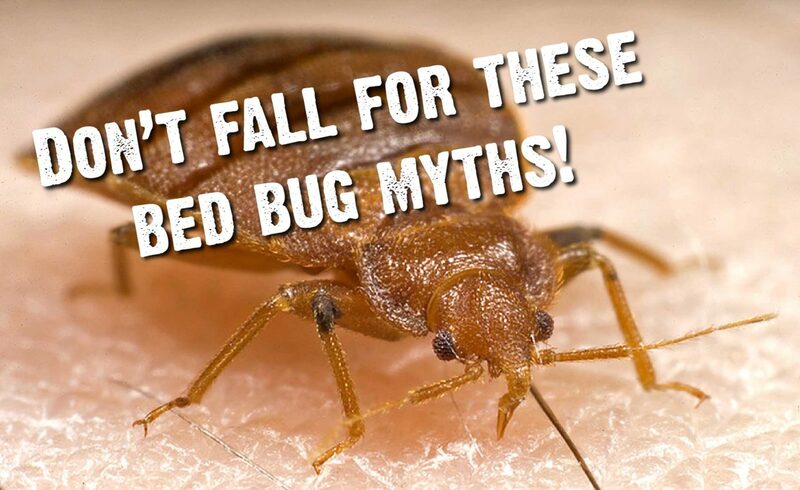 Don’t Fall For These Bed Bug Myths! Many people have heard of bed bugs, and often hope they never encounter one. Unfortunately, a significant number of people are unaware of the true facts surrounding these blood-sucking insects. Do you really know what to do if you see one, or how to prevent an infestation? Bed bugs feed exclusively on the blood of warm-blooded animals, and the two best-known species, Cimex lectularius and Cimex hemipterus, specifically target humans . Despite mostly being found within beds- due to preferring to feed on their victim whilst they’re still, therefore being an easy target- this is not the only place they hide. They can be found in a range of places, including in the sofa, on backpacks and even behind picture frames. In fact, they prefer to distance themselves from bodily heat . The adult bed bug is generally the size of an apple seed (5-7 mm), is oval in shape and has a brown colour. If it has fed recently, it will appear redder. However, in their development stage (known as nymphs), they are typically smaller, and a more white-yellow colour. If you see a bed bug accompanied by tiny white dots, these are likely to be the eggs . Despite many people believing you cannot, it is true that you can see bed bugs, nymphs and eggs all with a naked eye. Bed bugs do not transmit diseases, but they nevertheless can cause nasty irritations through their bites. In addition, they can have psychological impacts on those who may fear their presence. Considering these impacts, it is important you seek and eradicate the pests quickly, or even better: prevent their infestations before they spread further! 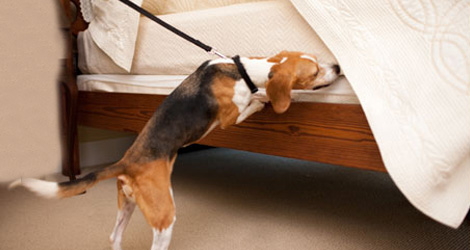 You can decrease the likelihood of a bedbug infestation through numerous ways. One common myth is that if you place your bed outside overnight, it will kill all bugs living on it. This is not true, and not an effective way to eradicate these pests; although they are not cold-tolerant, they can survive for considerable durations outside . For more effective ways of prevention, consider the options below. Ensure your home or room is kept tidy and organised, to reduce bug hiding places. Always be aware of items you are bringing home which may already be infested with the bugs, such as second hand mattresses and bed frames. By introducing the infested items to the room, they are likely to multiply if not treated and removed . If you are unfortunate enough to spy a bedbug, or worse: an infestation, the best way to treat bed bugs is to seek professional help. Pest controllers can use insecticides or rapid freezing to get rid of them, and help to seal cracks and crevices which provide hiding places ,. Unfortunately, insecticides alone will not easily eliminate the infestations, particularly in areas where the population of bugs demonstrate resistance to common insecticides. Some new advances include using dogs to detect infestations, as they have been trained to distinguish bed bugs from other urban pests. In addition, lures, monitors and traps are often used to detect bed bugs .If you have been bitten, it is best to avoid scratching, and take medication if necessary; an allergic reaction to several bites may need medical attention .